The effects of a catastrophic brain or spinal cord injury extend far beyond the physical damage to the body. These injuries can wreak havoc on a family emotionally, financially, spiritually and even logistically. Craig Hospital’s Clinical Care Managers (CCMs) work tirelessly to help families regain their sense of balance by coordinating all aspects of their situation, both at Craig and beyond. As every patient and family are unique, it’s important that rehab programs treat the whole person and family. Addressing psychosocial care includes individual counseling and family counseling, group support, education and empowerment, and meaningful recreational pursuits. The overall goals of psychosocial adjustment is for the individual to re-define themselves after injury, to become productive again in a meaningful way for them, and to financially, emotionally, and socially adjust to their “new normal”. The process of re-definition and adjustment can take months or years, and is a continual lifetime challenge, but the foundation for successful adjustment begins in the first months within a powerful positive culture of specialized rehabilitation. CCMs are critical to the oversight and advocacy of this process. Percival refers to her team as the hub of a wheel, working to address the various psychological, cultural, social, and financial issues each family is dealing with. When a patient is admitted to Craig, they are assigned an inpatient care manager, who will complete an initial assessment to identify and address the family’s immediate needs. These can range from finding child care for a patient’s children near the hospital to arranging interpreters so family members can take an active part in their loved one’s care. The counselors — most are licensed counselors and social workers — will conduct a thorough psycho-social assessment with the patient and family and counsel about grief, adjustment and even marriage issues. As a patient progresses through his or her rehabilitation, the CCM team coordinates with the patient’s insurance company and any case managers, discharge planners or law enforcement and legal professionals who might be involved in the case. Counselors take a holistic look at the family’s financial situation and search for resources that can help them, ranging from a patient’s existing accidental death and dismemberment or short term disability policies, victim’s assistance funds, or homeowners insurance policies. The team also processes Social Security applications for each patient. 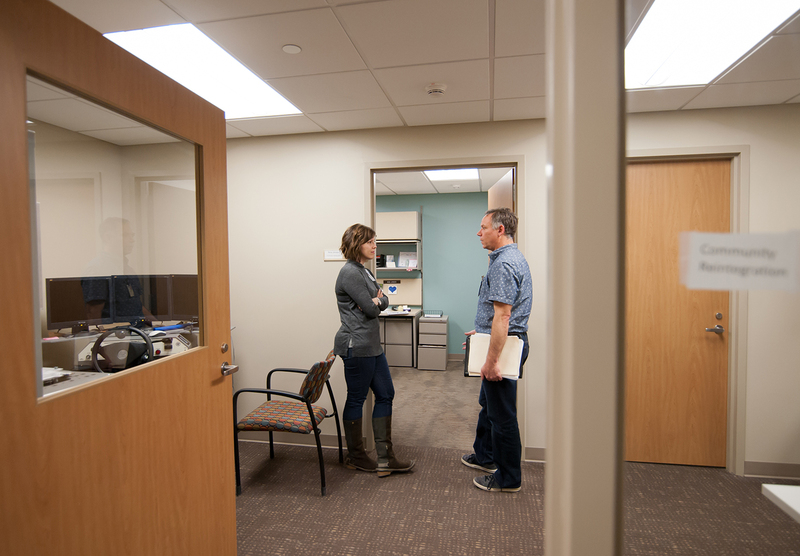 When the patient nears discharge, the counselor works with the family to ensure that there is a plan in place and that patients are able to go home to an accessible, well-equipped space. If the patient lives within 60 miles of Craig, the counselor, along with a physical and occupational therapist, will do a home visit to offer advice on home modifications. If a visit to the home is not possible, the team can work off of measurements, blueprints and photos to coordinate with construction contractors. When a family is unable to pay for needed renovations, the CCM will scour for resources, apply to the Homebuilder’s Foundation for assistance or will work with groups of volunteers to get the work done. CCMs also make sure patients have the durable medical equipment they need at discharge, and they coordinate other patient care requirements, including home health care, outpatient therapies, primary care physician visits, disposable supplies and oxygen. Each inpatient CCM handles up to 10 patients and their families at a time and follows the family post-discharge for up to six months. The Clinical Care Managers also access money from the Craig Hospital Foundation’s Patient Assistance Funds, using these donor-supported funds to assist their patients in need. These funds help patients with minimal income or inadequate insurance to purchase adaptive equipment, remodel homes for accessibility, arrange for transportation, pay mortgages or utility bills, and meet other urgent needs. According to Percival, these funds are a great benefit to Craig Hospital patients. There is no easy way to explain what we do — it’s so abstract, so out of the box. We’re like Julie McCoy on the Love Boat, making sure everyone and everything is in place. 1:30 – 2 p.m.: Towle completes paperwork and drops by the CNS medical clinic on the first floor. He is looking for Dr. Balazy, Craig’s medical director, because he needs him to order a MRI for a patient who is suffering ongoing pain. Dr. Balazy isn’t in, so Towle promises to return later. 2:45 – 2:50 p.m.: Towle drops by the CNS office again. Dr. Balazy is still in a meeting, so Towle leaves a detailed message for him.